Whether you are looking for a comprehensive eye exam, new glasses or contacts, our Warrensburg Optometrist’s and Opticians are ready to serve you! The Eyecare Specialties office in Warrensburg is focused on providing our patients and customers the very best experience. Our eye doctors have extensive experience in all areas of eye care, from routine eye exams to advanced medical eye care. 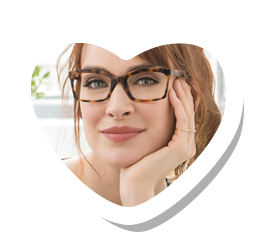 Our talented optical staff can guide you on the best glasses for your style, vision insurance or budget, and vision needs. ✔ A committed team of eye doctors, opticians, and eye care staff that are dedicated to providing the highest quality service for all your optical and eye health needs. ✔ We have invested in the latest diagnostic and treatment technology to provide the highest standard of medical eye care for patients with myopia, dry eyes, glaucoma, AMD and more. ✔ Contact lens fittings for virtually every patient, presbyopia, myopia control, soft contact for dry eyes, astigmatism and more. ✔ You don't need to travel to find professional service - it's right here in Warrensburg! Contact lens fitting for presbyopia, dry eyes, myopia, astigmatism and more. Many options of lens coatings, specialty glasses, sports glasses, and kids glasses. Advanced care for patients with glaucoma, diabetes, cataracts, macular degeneration and other eye diseases. We are proud to offer advanced eye care in Warrensburg. Our mission is to provide the highest quality care combined with an emphasis on customer and patient care.